Innovation is a constant at the Disney, Universal and Seawolrd Theme Parks. The new oppeninigs at the Universal Studios Theme Parks and Animal Kingdom re the most relevant and advertised. For those who didn’t make last year this year will enjoy Mako the hyper Coaster in Seawolrd, The New Frozen Ride at Disney Epcot, Skull Island:The leyend of the King at Universal Studios and much more attractions. Now for these exciting year 2018 Volcano Bay Water Park by Universal Studios, The Stars War and the Toy Story Land by Disney Hollywood Studios, and Pandora: The Land of Avatar are probably the most exciting new attraction that will be add to the Theme parks offer. Today will pressent a sneak a peak to Pandora: The Land of Avatar that openned last summer 2017 and on demand for a good period of time still. On the Pandora: Land of Avatar will be 2 main attractions, the first one is Avatar Flight of Passage that will make visitors feel like they’re flying on Banshee creatures with are a characteristic element of the movie. The fly will take over a river and stunning bioluminescent forest, that will transform the look of Disney Animal Kingdom at night” the second attraction is a trip on boat on Na’vi River Journey to know the natural fauna and flora of Pandora that will include sound and animations through animatronics. Multiple announcement and news sorunded the Theme Park in terms of innovations. 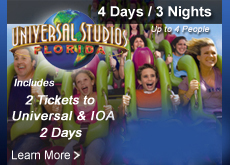 The new oppeninigs at the Universal Studios Theme Parks and Animal Kingdom re the most relevant and advertised. For those who didn’t make last year this year will enjoy Mako the hyper Coaster in Seawolrd, The New Frozen Ride at Disney Epcot, Skull Island:The leyend of the King at Universal Studios and much more attractions. Now for these exciting year 2017 Volcano Bay Water Park by Universal Studios, The Stars War and the Toy Story Land by Disney Hollywood Studios, and Pandora: The Land of Avatar are probably the most exciting new attraction that will be add to the Theme parks offer. Today will pressent a sneak a peak to Pandora: The Land of Avatar that will be available on May 27 as great day of openning base on Disney Public Relations Team. On the Pandora: Land of Avatar will be 2 main attractions, the first one is Avatar Flight of Passage that will make visitors feel like they’re flying on Banshee creatures with are a characteristic element of the movie. The fly will take over a river and stunning bioluminescent forest, that will transform the look of Disney Animal Kingdom at night” the second attraction is a trip on boat on Na’vi River Journey to know the natural fauna and flora of Pandora that will include sound and animations through animatronics. Universal Studios after progressive transformation on the Land next to I-4 finally anounced as well the openning of Volcano Bay, after June 1st, the visitors will be having a total revelation on Water Parks experiences.so a few days ago Universal Studios reveail the new addition to their Holiday Celebration involving now the Harry Potter Wolrd. 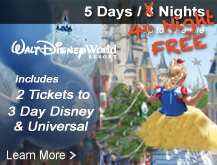 Orlando Discount Tickets USA expert on discounts for the Theme Parks and to provide information about the Theme parks in Orlando make very easy to get admission to these dremed attrcation for a really disocunted price by participating on a resort preview one of the days you are in Orlando. Tickets or admissions for the Theme Parks can be purchase for prices starting at $25 dollars for Seawolrd, $29 dollars for Universal Studios and $39 dollars for Walt Disney Wolrd Resort. 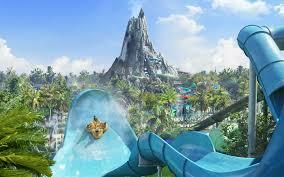 Universal Studios Volcano Bay Water Park is amazing openned on June 1st 2017a great revelation on Water Parks experiences.